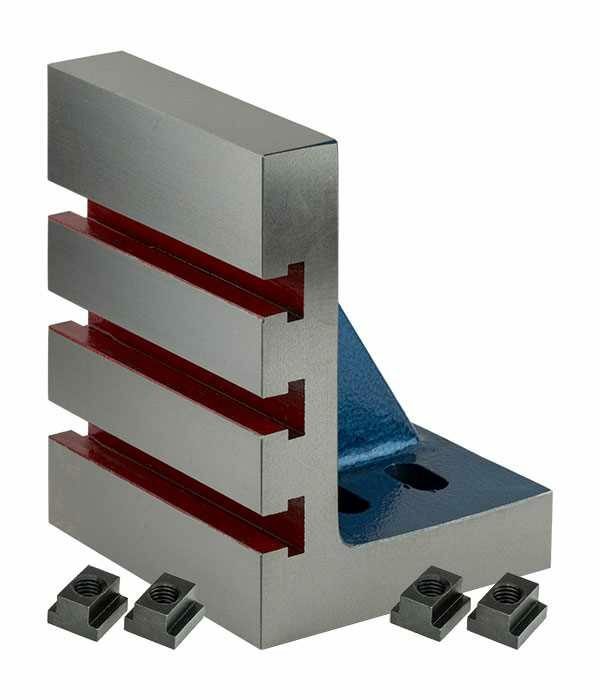 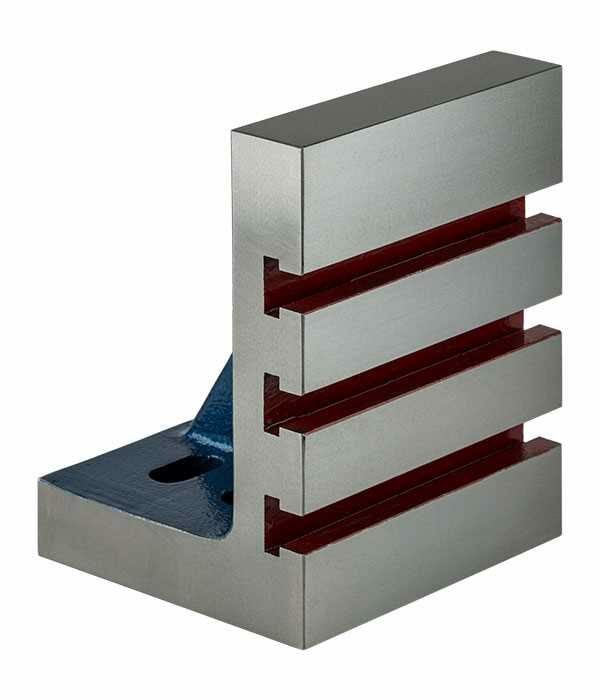 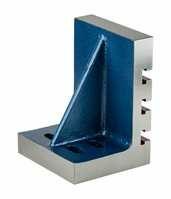 Catalogue > Workholding > Vee Blocks & Angle Plates > Tee Slotted Angle Plate - 6.5x5x4.5"
Table size: 6.5 high x 5 wide x 4.5" deep (165mm x 125mm x 115mm). T-Slot Size: 12mm wide - 40mm between T-slot centres. Supplied with 4x M10 Slim T-Nuts.